Rousham House (above) - just a short drive from the centre of Oxford - was built in the 17th century for Sir Robert Dormer. 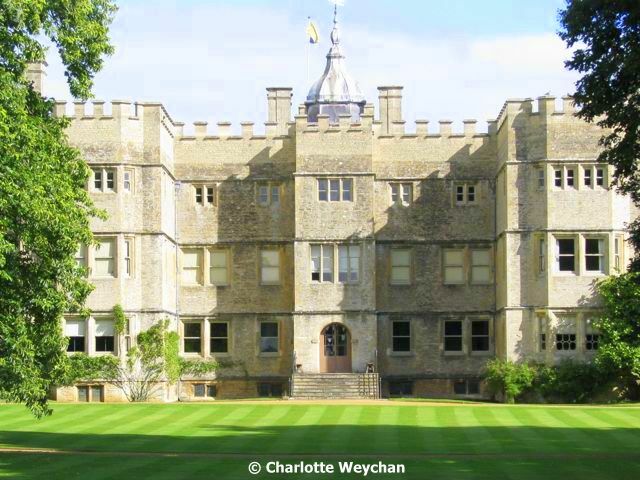 The same family own it today, but it's the landscape garden that draws visitors from all over the world - designed by William Kent - and filled with fine statues and incredible views over the surrounding countryside. This is a garden on a grand scale, with a fine walled garden. Great for walks and ideal for children because there is plenty of space for them to run around. The walled garden at Waterperry Gardens - founded to "educate women in horticulture"
Waterperry Gardens, outside the city, were founded by a Miss Beatrix Havergal in the 1930's, to "educate women in horticulture". You will find more than eight acres of ornamental gardens here - and there's always something in bloom. Wonderful herbaceous beds are one of the finest features of this garden, providing inspiration to all gardeners, whether novice or expert and the very helpful nursery staff are always on hand to provide advice if you're purchasing plants for your garden at home. 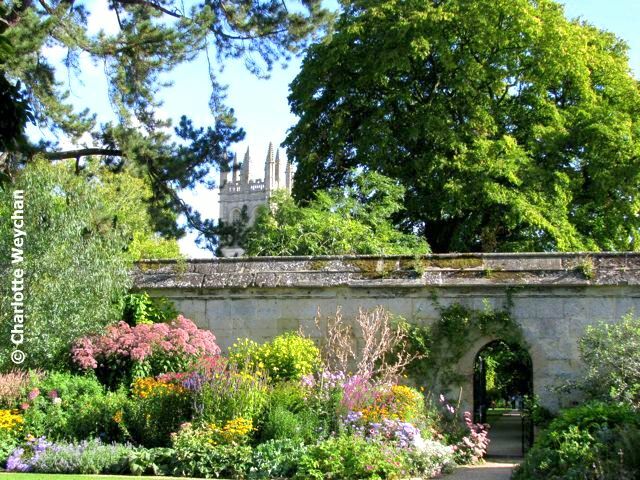 Head for the University of Oxford Botanic Garden if you're in the city and you'll have the chance to wander around 4.5 acres of tightly packed botanical glory! This is like a secret garden, nestling behind high walls and you'll see the city's spires all around, together with the punts on the River Cherwell. 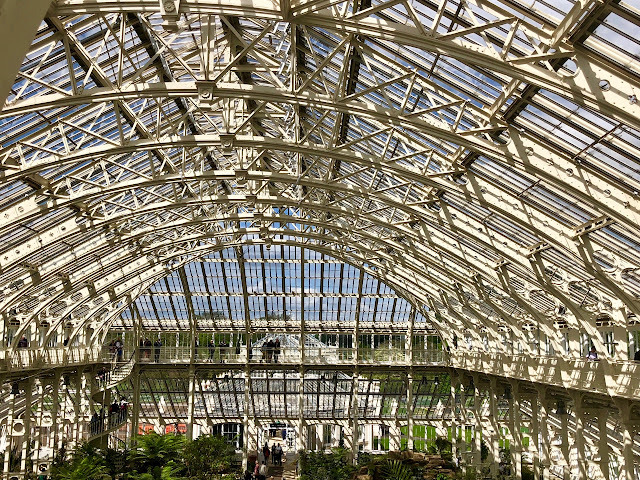 Wonderful glass houses packed with unusual plants and water lilies to die for in high summer. There are more than 8,000 plant species here, arranged in geographical beds. And if it's trees you're interested in, head for the Harcourt Arboretum outside the city, which is all part of the Botanic Garden. 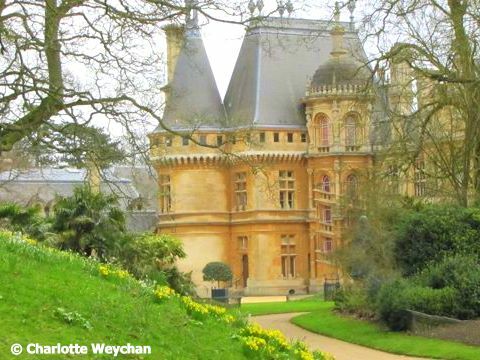 Waddesdon Manor, just 20 miles outside Oxford is also one to put on your Wish List. This French chateau-style property was built for the de Rothschild family and has one of the finest parterres in the country - soon to be in full bloom - with it's annual tulip festival starting in mid-April. But if you can't get there for the tulips, don't worry, because this garden stays in full bloom throughout the summer. I fondly remember my visit to the Oxford Botanic Garden, which is truly wonderful the way it is nestled into its site. Beautiful, beautiful, beautiful. 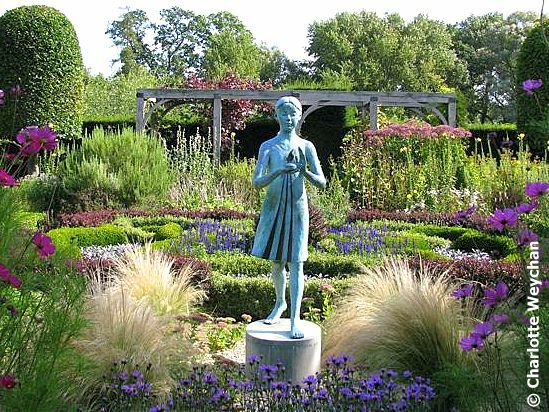 That picture of the Waterperry Gardens is splendid. Something I could look at for hours. So lovely. 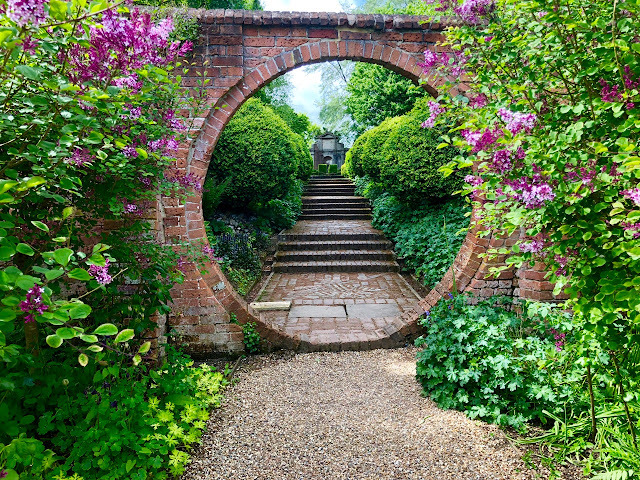 And it must be the perfect time of year to tour English gardens! Thanks for taking us along! Gorgeous gardens you have shown us yet again. Getting on for 400 years and Rousham House is still in the hands of the same family, marvellous! The Waterperry Garden is stunning. Love the Joe Pye agaisnt the wall in the Oxford botanical garden photo. Must be 7-8'. All wonderful places to visit I am sure. I appreciate the addition of the map, as they must all be able to be visited in one days time.